I discovered a super cool new item in my August Degustabox that I just had to share with all of you. 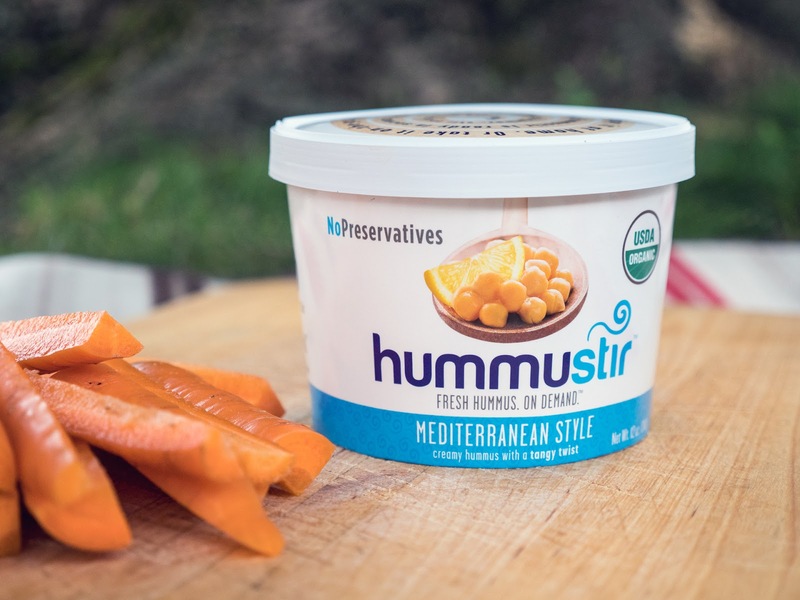 Think of it as fresh hummus on demand. 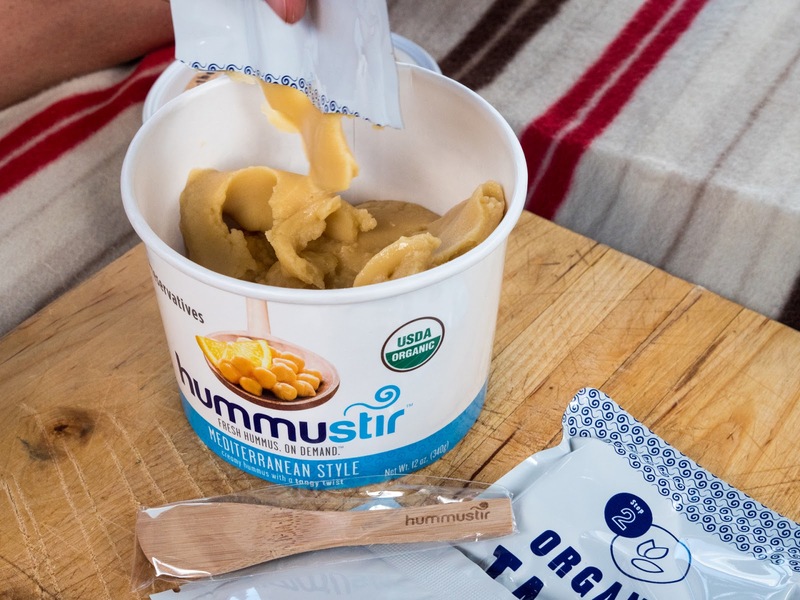 Hummustir lets you make smooth, creamy hummus that's organic and perseverative-free in seconds. No food processor required. Hummustir is shelf-stable. Everything you need is in there - pureed chickpeas, ground Tahini, a pack of spices, and even a stirring stick. Just open each packet and stir together. You can keep it in the pantry for a quick on-the-go snack, last minute get-together nosh, or even at your desk at work. It's ready to go when you are. We brought ours for an impromptu picnic at the park near our house. All you need to add is what you want to dip into it. We brought along some carrots from the farmers' market that morning. I think it would be a great spread for sandwiches or on a flatbread. You could even thin it out a bit and use as a drizzle over grilled vegetables such as eggplant. I was a bit skeptical about how it would actually taste. To my surprise, the consistency was definitely smooth, and pretty creamy. I think it tasted as good as most traditional hummuses you can buy in the refrigerator section of the grocery store. We had the Mediterranean flavor with a hint of lime and garlic, but it also comes in Classic, Traditional with a touch of garlic and cumin, and Blazin made with habanero pepper. 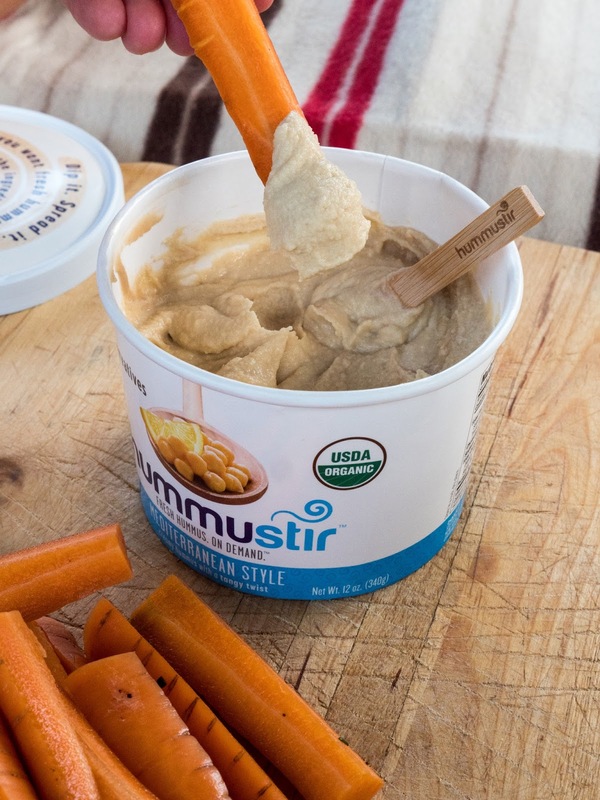 In addition to being organic and preservative free, Hummustir is vegan and gluten-free with no artificial ingredients and no sugar. It has 2 grams of protein and 45 calories per serving. 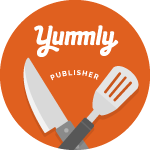 Of course, if you are anything like us, you will undoubtedly eat more than just one serving. Renato and I housed the entire container at our picnic - no leftovers. It's important to note that once you stir everything together, if you actually have any leftovers, then it'll need to be refrigerated, lasting up to seven days. I could definitely see keeping a stash of these in the pantry. I am all for making things from scratch, but sometimes that's easier said than done. Something like Hummustir can help make life easy. 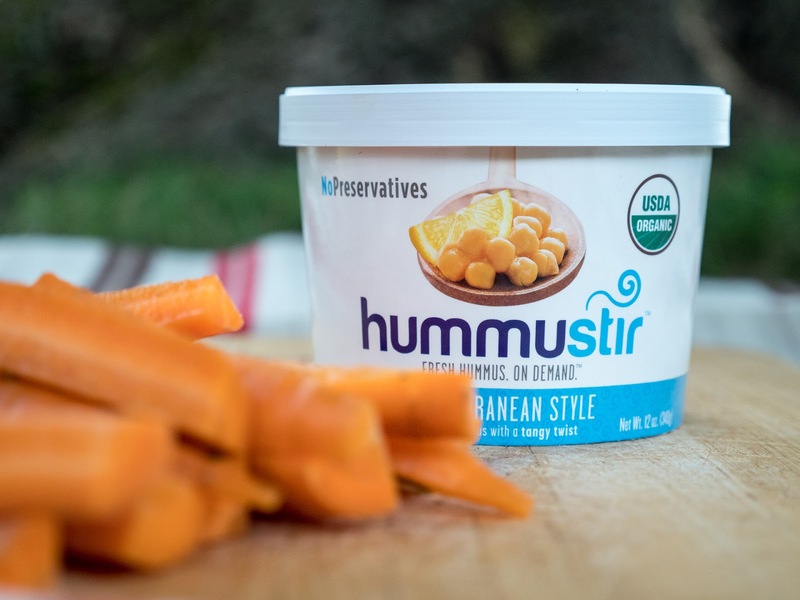 To find out where you can buy Hummustir near you, check out their interactive map. Or, you can order some online from Amazon: http://amzn.to/2wD32mm (this is an affiliate link, which means I make a few cents if you buy it). 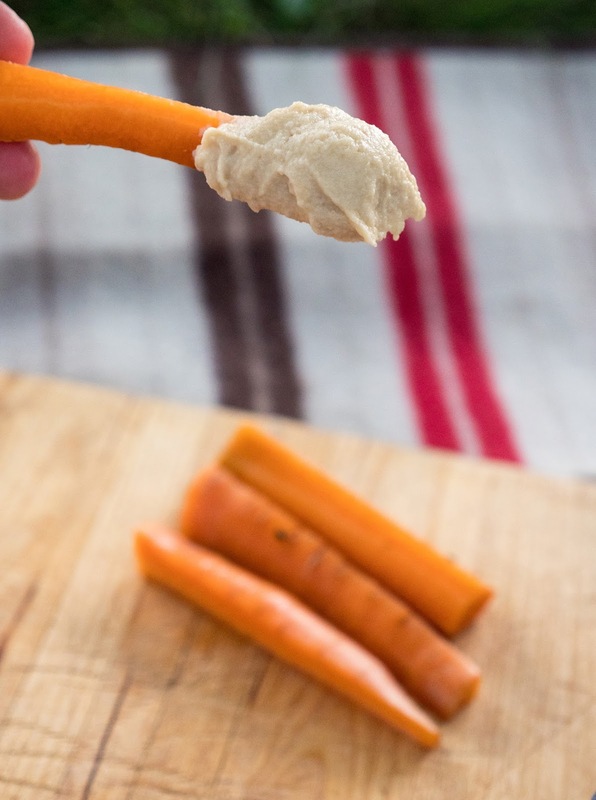 Beyond a simple dip, what are some of your favorite ways to enjoy hummus?